Black violet color. Aromas of spiced plum, sweet pea blossom, and carnation with a satiny, lively, fruity medium-full body and a graceful, distinctive, long red and black licorice, roasted peach cobbler, suede, and bacon wrapped dates finish with silky tannins and moderate oak flavor. Racy, mouthwatering acidity keeps one heading back for another sip of this graceful Clare Valley Shiraz. Bottom Line: Racy, mouthwatering acidity keeps one heading back for another sip of this graceful Clare Valley Shiraz. 93 • Jaraman 2014 Wakefield, Shiraz, Clare Valley 14.5% (Australia) $19.99. 85 • St. Andrews 2018 Riesling, Clare Valley 12% (Australia) $35.00. 90 • Taylor Made 2016 Chardonnay, Adelaide Hills 14% (Australia) $22.00. 92 • Taylor Made 2016 Malbec, Clare Valley 13.5% (Australia) $19.00. 93 • Taylor Made 2016 Malbec, Clare Valley 13.5% (Australia) $22.00. 90 • Taylor Made 2017 Rosé, Pinot Noir, Adelaide Hills 13% (Australia) $22.00. 91 • Taylor Made 2016 Malbec, Clare Valley 13.5% (Australia) $22.00. 86 • Taylor Made 2017 Rosé, Pinot Noir, Adelaide Hills 13% (Australia) $25.00. 92 • Taylor Made 2017 Malbec, Clare Valley 13.5% (Australia) $25.00. 86 • Taylors Winemakers Project 2017 Cellar Door Exclusive, Fiano, Clare Valley 13.5% (Australia) $22.00. 85 • Taylors Winemakers Project 2016 Pinot Noir, Tasmania 14% (Australia) $32.00. 90 • Wakefield/Taylors 2015 Shiraz, Clare Valley 14% (Australia) $17.99. 89 • Wakefield/Taylors 2015 Merlot, Clare Valley 14% (Australia) $17.99. 88 • Wakefield/Taylors 2015 Promised Land, Shiraz, South Australia 14% (Australia) $14.99. 82 • Wakefield/Taylors 2016 Promised Land, Chardonnay, South Australia 13.5% (Australia) $14.99. 92 • Wakefield/Taylors 2015 Cabernet Sauvignon, Clare Valley 14% (Australia) $17.99. 91 • Wakefield/Taylors 2015 Shiraz, Clare Valley 14% (Australia) $17.99. 94 • Wakefield/Taylors 2015 Merlot, Clare Valley 14% (Australia) $17.99. 90 • Wakefield/Taylors 2015 Promised Land, Cabernet Sauvignon, South Australia 13.5% (Australia) $14.99. 91 • Wakefield/Taylors 2016 Riesling, Clare Valley 12.5% (Australia) $17.99. 88 • Wakefield/Taylors 2015 Padthaway, Chardonnay, Clare Valley 13% (Australia) $17.99. 90 • Wakefield/Taylors 2016 Adelaide Hills, Pinot Gris, Clare Valley 13% (Australia) $17.99. 88 • Wakefield/Taylors 2015 "Eighty Acres", Shiraz, South Australia 14% (Australia) $16.99. 88 • Wakefield/Taylors 2015 Promised Land, Cabernet - Merlot, South Australia 13.5% (Australia) $14.99. 88 • Wakefield/Taylors 2015 Promised Land, Shiraz - Cabernet, South Australia 14% (Australia) $14.99. 92 • Wakefield/Taylors 2014 Jaraman, Shiraz, Clare Valley 14.5% (Australia) $19.99. 91 • Wakefield/Taylors 2015 Jaraman, Chardonnay, Clare Valley 14% (Australia) $19.99. 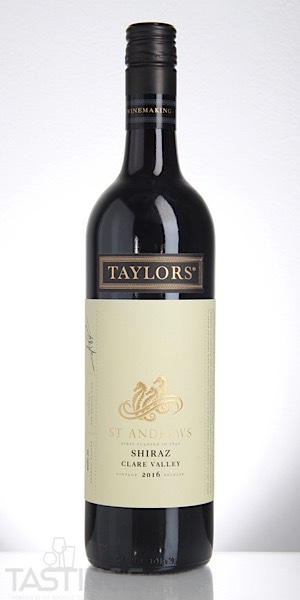 93 • Wakefield/Taylors 2014 St. Andrews, Cabernet Sauvignon, Clare Valley 14.5% (Australia) $50.00. 92 • Wakefield/Taylors 2014 St. Andrews, Shiraz, Clare Valley 14.5% (Australia) $50.00. 92 • Wakefield/Taylors 2015 St. Andrews, Chardonnay, Clare Valley 13.5% (Australia) $32.00. 84 • Wakefield/Taylors 2016 St. Andrews, Riesling, Clare Valley 12.5% (Australia) $32.00. 91 • Wakefield/Taylors 2015 Reserve Parcel, Shiraz, Clare Valley 14.5% (Australia) $22.00. 89 • Wakefield/Taylors 2015 Shiraz, Clare Valley 14% (Australia) $18.00. 91 • Wakefield/Taylors 2015 Jaraman, Shiraz, Clare Valley 14.5% (Australia) $22.00. 88 • Wakefield/Taylors 2015 Jaraman, Chardonnay, Clare Valley 14% (Australia) $22.00. 88 • Wakefield/Taylors 2016 Tempranillo, McLaren Vale 13.5% (Australia) $18.00. 89 • Wakefield/Taylors 2014 St. Andrews, Cabernet Sauvignon, Clare Valley 14.5% (Australia) $50.00. 91 • Wakefield/Taylors 2015 St. Andrews, Chardonnay, Clare Valley 13.5% (Australia) $32.00. 90 • Wakefield/Taylors 2016 Pinot Gris, Adelaide Hills 13% (Australia) $18.00. 87 • Wakefield/Taylors 2015 Cabernet Sauvignon, Clare Valley 14% (Australia) $18.00. 87 • Wakefield/Taylors 2016 Pinot Noir, Adelaide Hills 14% (Australia) $18.00. 92 • Wakefield/Taylors 2015 Jaraman, Shiraz, Clare Valley 14.5% (Australia) $22.00. 92 • Wakefield/Taylors 2014 Jaraman, Cabernet Sauvignon, Clare Valley 14.5% (Australia) $22.00. 85 • Wakefield/Taylors 2016 Promised Land, Shiraz, South Australia 14% (Australia) $13.00. 87 • Wakefield/Taylors 2015 Reserve Parcel, Cabernet Sauvignon, Clare Valley 14.5% (Australia) $22.00. 84 • Wakefield/Taylors 2015 Special Release, Cabernet Sauvignon, Clare Valley 14.5% (Australia) $15.00. 87 • Wakefield/Taylors 2015 Special Release, Shiraz, Clare Valley 14.5% (Australia) $15.00. 87 • Wakefield/Taylors 2016 Merlot, Clare Valley 14% (Australia) $18.00. 88 • Wakefield/Taylors 2016 Shiraz, Clare Valley 14% (Australia) $18.00. 92 • Wakefield/Taylors 2014 The Visionary, Cabernet Sauvignon, Clare Valley 14.5% (Australia) $140.00. 84 • Wakefield/Taylors 2016 Jaraman, Chardonnay, Clare Valley 13.5% (Australia) $22.00. 87 • Wakefield/Taylors 2015 80 Acres, Shiraz, South Australia 14% (Australia) $14.00. 86 • Wakefield/Taylors 2015 80 Acres, Shiraz-Cabernet-Merlot, South Australia 14% (Australia) $14.00. 84 • Wakefield/Taylors 2016 Chardonnay, Clare Valley 13.5% (Australia) $18.00. 88 • Wakefield/Taylors 2016 Riesling, Clare Valley 12.5% (Australia) $18.00. 90 • Wakefield/Taylors 2016 St. Andrews, Riesling, Clare Valley 12.5% (Australia) $32.00. 91 • Wakefield/Taylors 2016 Jaraman, Chardonnay, Clare Valley 14% (Australia) $19.00. 92 • Wakefield/Taylors 2015 Jaraman, Shiraz, Clare Valley 14.5% (Australia) $22.99. 89 • Wakefield/Taylors 2016 Shiraz, Clare Valley 14% (Australia) $19.00. 91 • Wakefield/Taylors 2016 Merlot, Clare Valley 14% (Australia) $19.00. 89 • Wakefield/Taylors 2016 Jaraman, Pinot Noir, Yarra Valley 13.5% (Australia) $22.99. 91 • Wakefield/Taylors 2016 Promised Land, Shiraz, South Australia 14% (Australia) $13.00. 86 • Wakefield/Taylors 2016 Promised Land, Cabernet Sauvignon, South Australia 13.5% (Australia) $13.00. 92 • Wakefield/Taylors 2015 Reserve Parcel, Cabernet Sauvignon, Clare Valley 14% (Australia) $19.00. 94 • Wakefield/Taylors 2017 Riesling, Clare Valley 12.5% (Australia) $19.00. 88 • Wakefield/Taylors 2016 Promised Land, Cabernet - Merlot, South Australia 13.5% (Australia) $13.00. 90 • Wakefield/Taylors 2015 Special Release, Shiraz, Clare Valley 14.5% (Australia) $12.99. 90 • Wakefield/Taylors 2015 Special Release, Cabernet Sauvignon, Clare Valley 14.5% (Australia) $12.99. 90 • Wakefield/Taylors 2015 Eighty Acres, Shiraz, South Australia 14% (Australia) $15.00. 88 • Wakefield/Taylors 2015 Eighty Acres, Cabernet-Shiraz-Merlot, South Australia 14% (Australia) $15.00. 91 • Wakefield/Taylors 2016 Cabernet Sauvignon, Clare Valley 14% (Australia) $19.00. 91 • Wakefield/Taylors 2015 Reserve Parcel, Cabernet Sauvignon, Clare Valley 14.5% (Australia) $22.00. 91 • Wakefield/Taylors 2016 Shiraz, Clare Valley 14% (Australia) $18.00. 93 • Wakefield/Taylors 2015 Jaraman, Cabernet Sauvignon, Clare Valley-Coonawarra 14.5% (Australia) $22.00. 93 • Wakefield/Taylors 2016 Cabernet Sauvignon, Clare Valley 14% (Australia) $18.00. 84 • Wakefield/Taylors 2016 Jaraman, Chardonnay, Adelaide Hills-Clare Valley 14% (Australia) $22.00. 88 • Wakefield/Taylors 2016 Reserve Parcel, Shiraz, Clare Valley 14.5% (Australia) $22.00. 90 • Wakefield/Taylors 2015 St Andrews, Shiraz, Clare Valley 14.5% (Australia) $50.00. 92 • Wakefield/Taylors 2015 St Andrews, Cabernet Sauvignon, Clare Valley 14.5% (Australia) $50.00. 88 • Wakefield/Taylors 2017 Promised Land, Shiraz, South Australia 14% (Australia) $13.00. 89 • Wakefield/Taylors 2016 One Giant Leap, Shiraz, Clare Valley 14.5% (Australia) $24.00. 89 • Wakefield/Taylors 2016 Special Release, Shiraz, Clare Valley 14% (Australia) $15.00. 89 • Wakefield/Taylors 2016 Jaraman, Pinot Noir, Yarra Valley 13.5% (Australia) $22.00. 89 • Wakefield/Taylors 2017 Tempranillo, McLaren Vale 13.5% (Australia) $18.00. 93 • Wakefield/Taylors 2014 The Pioneer Exceptional Parcel Release, Shiraz, Clare Valley 14.5% (Australia) $140.00. 90 • Wakefield/Taylors 2017 Riesling, Clare Valley 12.5% (Australia) $18.00. 87 • Wakefield/Taylors 2017 St Andrews, Riesling, Clare Valley 12.5% (Australia) $32.00. 93 • Wakefield/Taylors 2015 St Andrews, Shiraz, Clare Valley 14.5% (Australia) $50.00. 94 • Wakefield/Taylors 2015 St Andrews, Cabernet Sauvignon, Clare Valley 14.5% (Australia) $50.00. 92 • Wakefield/Taylors 2016 Reserve Parcel, Shiraz, Clare Valley 14.5% (Australia) $22.00. 91 • Wakefield/Taylors 2016 Jaraman, Shiraz, Clare Valley-McLaren Vale 14.5% (Australia) $22.00. 93 • Wakefield/Taylors 2015 Jaraman, Cabernet Sauvignon, Coonawarra-Clare Valley 14.5% (Australia) $22.00. 91 • Wakefield/Taylors 2017 Rosé, Pinot Noir, Adelaide Hills 13% (Australia) $18.00. 88 • Wakefield/Taylors 2017 Chardonnay, Clare Valley 13.5% (Australia) $19.00. 89 • Wakefield/Taylors 2017 Shiraz, Clare Valley 14% (Australia) $19.00. 91 • Wakefield/Taylors 2017 Merlot, Clare Valley 14% (Australia) $19.00. 87 • Wakefield/Taylors 2017 Promised Land, Shiraz, South Australia 14% (Australia) $13.00. 93 • Wakefield/Taylors 2015 Jaraman, Cabernet Sauvignon, Coonawarra-Clare Valley 14.5% (Australia) $29.50. 89 • Wakefield/Taylors 2017 Pinot Gris, Clare Valley-Adelaide Hills 13% (Australia) $19.00. 85 • Wakefield/Taylors 2017 Sauvignon Blanc, Adelaide Hills 13.5% (Australia) $19.00. 88 • Wakefield/Taylors 2017 Promised Land, Chardonnay, South Australia 13% (Australia) $13.00. 87 • Wakefield/Taylors 2016 Special Release, Shiraz, Clare Valley 14% (Australia) $14.99. 92 • Wakefield/Taylors 2017 Reserve Parcel, Shiraz, Clare Valley 14.5% (Australia) $25.00. 90 • Wakefield/Taylors 2016 Promised Land , Shiraz-Cabernet, South Australia 14% (Australia) $13.00. 89 • Wakefield/Taylors 2017 Shiraz, Clare Valley 14% (Australia) $20.99. 91 • Wakefield/Taylors 2017 Merlot, Clare Valley 14% (Australia) $20.99. 87 • Wakefield/Taylors 2016 Special Release, Shiraz, Clare Valley 14.5% (Australia) $20.99. 88 • Wakefield/Taylors 2016 St. Andrews, Cabernet Sauvignon, Clare Valley 14% (Australia) $80.00. 92 • Wakefield/Taylors 2016 St. Andrews, Shiraz, Clare Valley 14.5% (Australia) $80.00. 91 • Wakefield/Taylors 2017 Cabernet Sauvignon, Clare Valley 14% (Australia) $20.99. 91 • Wakefield/Taylors 2017 Jaraman, Shiraz, Clare Valley 14.5% (Australia) $30.00. 93 • Wakefield/Taylors 2017 St. Andrews, Riesling, Clare Valley 12.5% (Australia) $35.00. 90 • Wakefield/Taylors 2017 St. Andrews, Chardonnay, Clare Valley 13% (Australia) $35.00. Shiraz is made in several countries, but the best-known versions are from Australia. Known as Syrah in other countries, Shiraz is a rich red wine known for its blackberry and plum flavors and moderate tannins. Some examples also have a good amount of pepper, tobacco, licorice and black spice apparent on the palate as well. There are hundreds of versions from Australia, ranging from less than $10 a bottle to more than $40 a bottle. 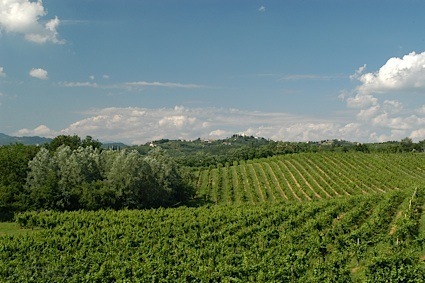 The lighter versions are easy-drinking and should be consumed within one or two years, while the more expensive versions are best consumed from seven to ten years of age. Shiraz in grown in several regions of Australia, the most famous being Barossa and Victoria. Given the popularity of Australian Shiraz, some producers in California have labeled their offerings of Syrah as Shiraz. Pair these wines with grilled and barbecued foods, game birds and roasts. Wakefield/Taylors 2016 St. Andrews, Shiraz, Clare Valley rating was calculated by tastings.com to be 92 points out of 100 on 10/12/2018. Please note that MSRP may have changed since the date of our review.